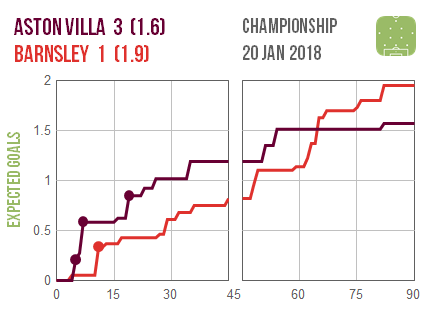 A mad start saw four early goals at Aston Villa, who saw out their win despite Barnsley giving an impressive account of themselves for the remainder of the game. 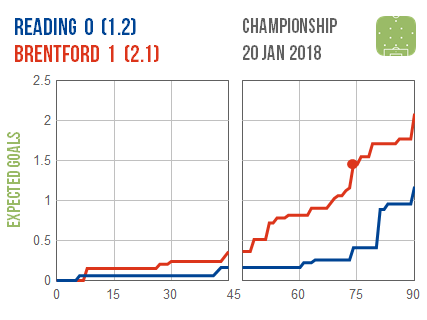 Fulham looked convincing in their demolition of struggling Burton while Brentford emerged more convincingly from a sluggish first half to seal victory at Reading. 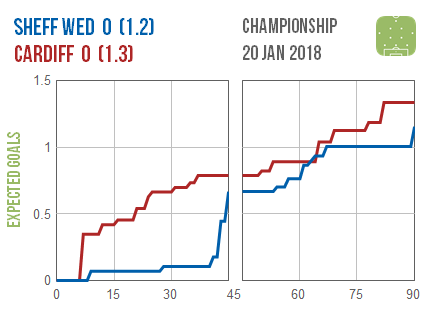 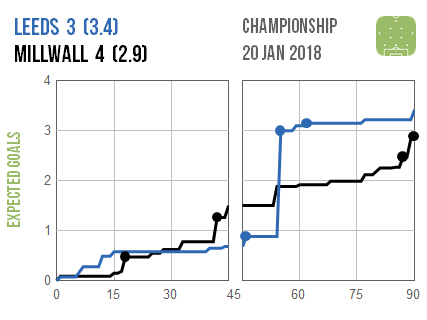 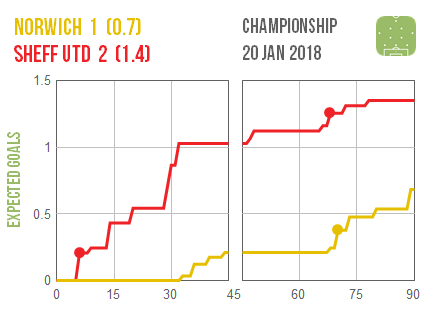 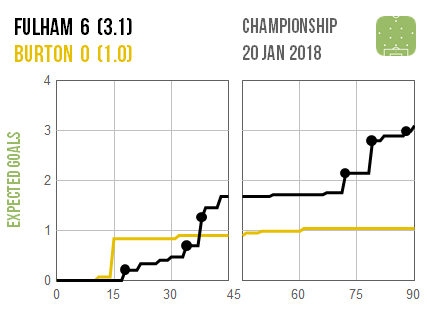 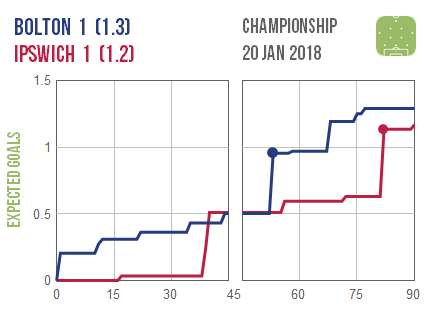 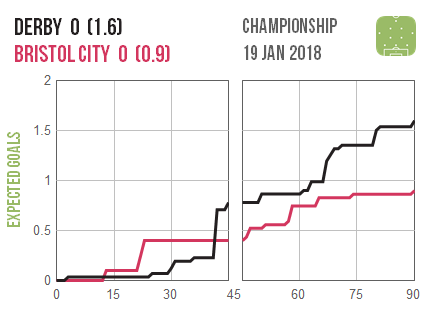 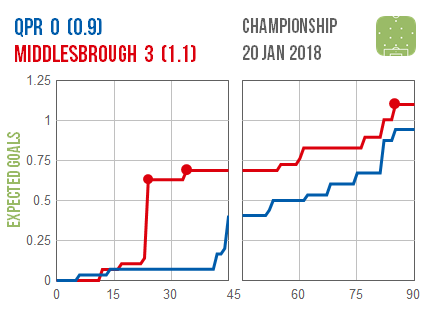 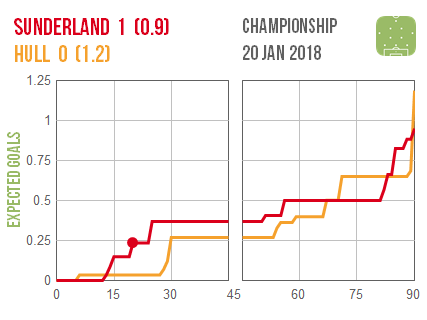 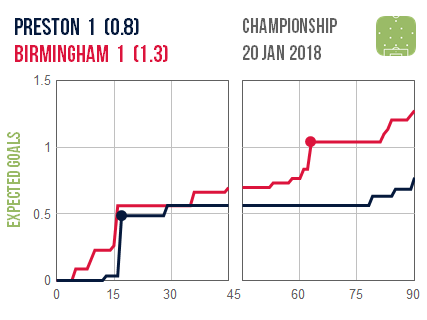 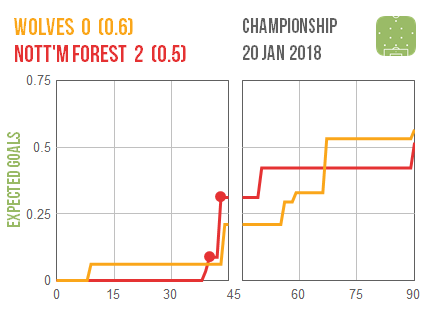 A quick note on the Leeds game: that huge jump before their second goal was a burst of close-range shots that a future iteration of the model will treat a bit less excitably.